Turf Moor is one of the oldest football grounds still in use in the United Kingdom, behind only Preston North End's ground, Deepdale and Sheffield United's Bramall Lane. The stadium has a capacity of just over 22,000 but due to the age, the Bob Lord and David Fishwick stands are complete with wooden seats and numerous pillars. The history inside the ground, such as the wooden seats, is quite incredible and it's most definately a ground worth visiting. Visiting supporters are situated in at one end of the David Fishwick stand. 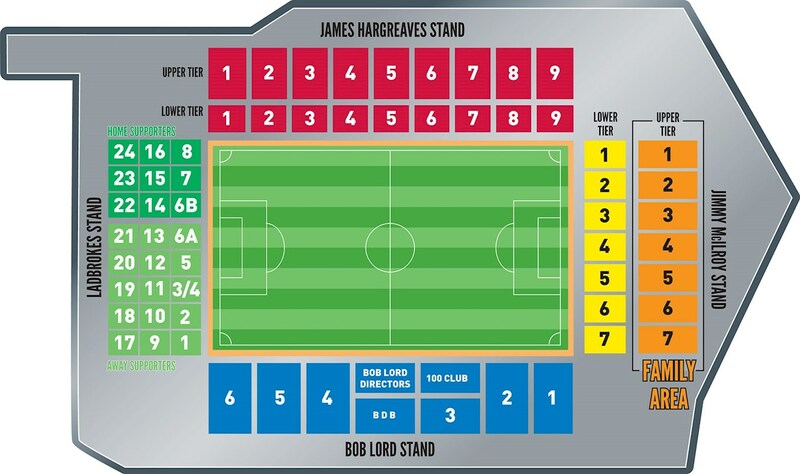 Up to 2,100 away fans can be accommodated for league matches and can be found on the Bob Lord side of the stand. Views are un restricted and facilities are very good. It would be a good idea to avoid any pubs on Yorkshire Street if you're an away fan as they are restricted to home fans only. However, round the back of the away stand there is an away friendly venue in the form of a cricket club where you can get your standard match day pint and pie without any bother. There are plenty of large car parks in the local area including three recommended by the club situated on Brown St, Plumb St and Bancroft Avenue. You can also use the local cricket club although street parking is also available. The nearest / closest train stations to Burnley's Turf Moor Stadium are Burnley Central and Burnley Manchester Road. The two stations are situated in relatively close proximity to the stadium. Central is roughly a 20 minute walk away with Manchester Road being slightly closer, taking around 15 minutes. Travel: Getting there was easy… but parking…As we approached the ground, signs directed us towards ‘away parking.’ So we followed. For ages. Then the signs disappeared, leaving us to just guess and park on some side street next to the park… the ground was miles down this hill (which wasn't fun climbing again after…) and traffic was ridiculous getting back out of town again. Refreshments: Proper football ground, heart of the area, surrounded by pubs, chippies and burger vans. What more do you want? Impressions: The old Cricket Field Stand makes the Bullens seem quite luxurious! The stench of pee, the single bulbs hanging miles above providing virtually no light, the wide wooden seats, all kind of good in a ‘so bad it's good 1960s’ way! The view from the seats should have been better, I expected it to be flawless given that the steps were steeper than anywhere else I’ve been, but even sitting down, there didn't seem to be much height between rows which was really frustrating. We missed a penalty, I didn't have a clue where it went…. Atmosphere: It's now become an accepted norm that the better atmospheres in the Premier League these days come at the promoted clubs, so no exception here. We were dreadful, which is a shame as when we did sing, the acoustics in the away end were stunning. 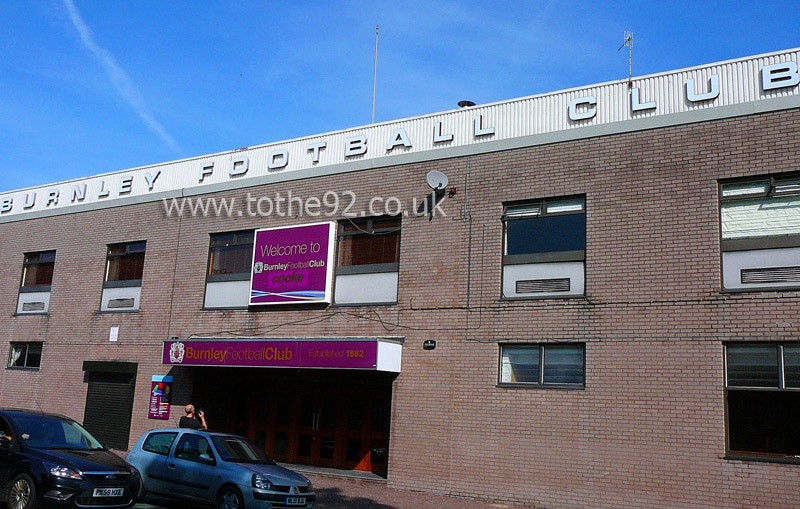 Enjoy: It's a dump …but in the same category as Goodison and Sheffield Wednesday that it's a good dump! Have you been to Burnley's Turf Moor? To tell us about your experiences and to feature on the site, simply complete the fans review form below!